The next course was my favourite. 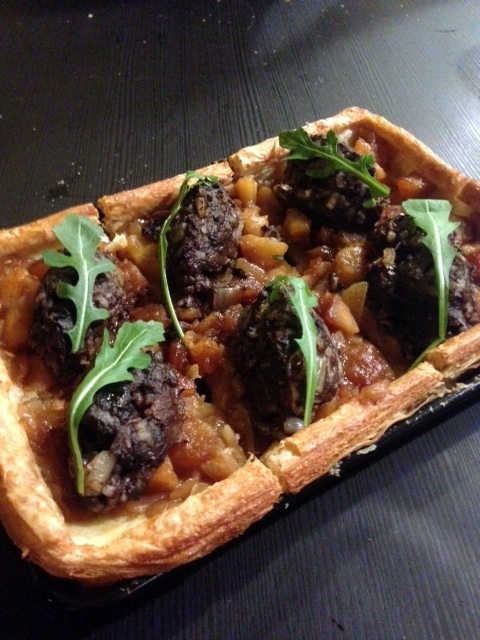 Based on a classic French boudin noir tart, this was a homemade Spanish morcilla and braeburn apple tart served with a champagne, vanilla and orange sauce. The apple element was a touch sweet, but otherwise the morcilla was absolutely spectacular with bundles of flavour and a textural richness. 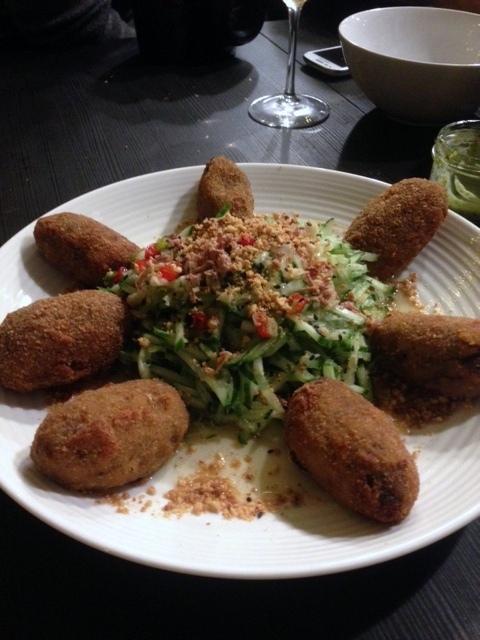 This was followed by a ‘green bomb’ with hot and sour cucumber spaghetti – essentially a dish consisting of crispy coated little beasties filled with herbs, spices and vegetarian haggis and served with shredded cucumber dressed Asian style. This was an eclectic choice for a third course, given its heavy Asian overtones when compared to the European slant of the two courses that preceded it. That said it was refreshing and fresh and extremely well executed. 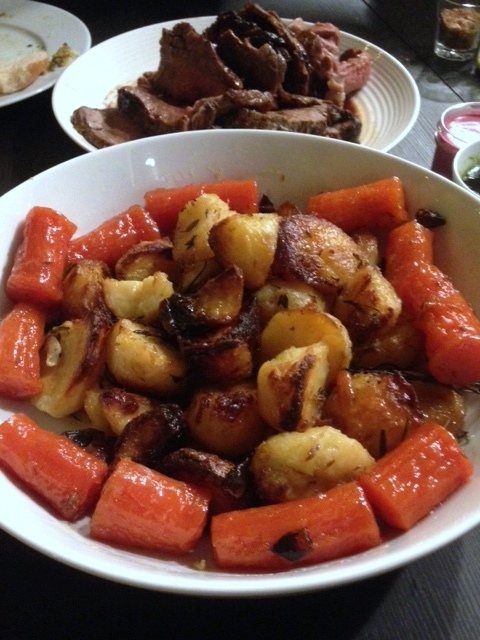 The main was a roasted 28-day aged best end of ribeye of beef with liquorice salt and served with thyme infused roasties and caramelised carrots. Simon had warned us at the outset of the evening that there had been problems with the electrics. 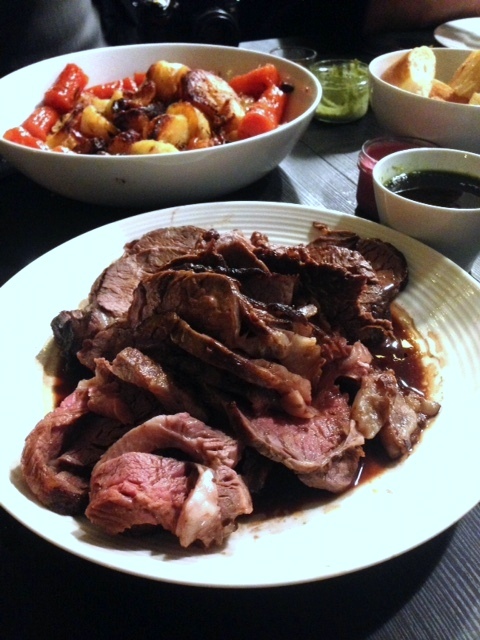 Consequently the beef was served later than had been planned. Furthermore, the problems with the oven also affected his cooking timings and the beef was a bit overcooked. The carrots weren’t great either and too sweet on the plate. Disappointing then, as judging from his preceding dishes, the beef should have been better. 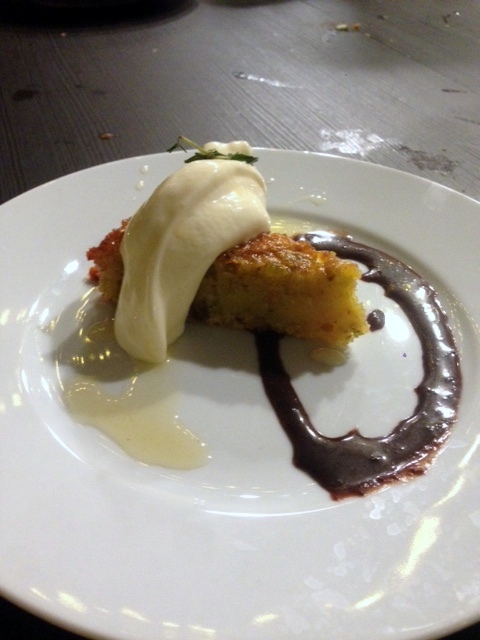 We moved onto the pistachio olive oil cake with almond gelato and black olive chocolate sauce. This was a deliciously moist cake topped with roast pistachios and served on a spiral of black olive chocolate sauce and some expertly made almond gelato. This was a glorious dessert, which we really enjoyed. Finally to complete the evening, there were some petit fours of salted caramel & peanut butter temptations and cocoa almonds. 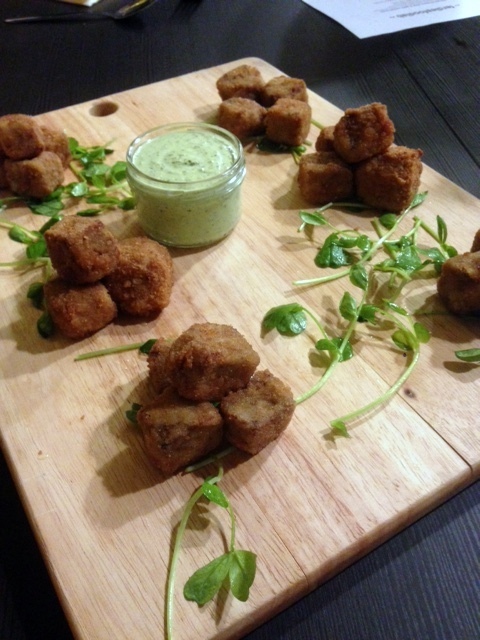 The calibre of the food showed off what a really good cook Simon is and the creativity of his menu. But food aside, the evening wasn’t completely fault free. Some of the dishes were a bit cold when they should have been hot. The service didn’t turn around quickly enough, for example we didn’t have plates to eat off for the second course. And then as mentioned there were delays with the beef dish. The cooking by ferdiesfoodlab showed off great potential. And although some of the other elements such as the service let down the overall experience somewhat, I trust that future supper clubs would be better honed. I fed back various comments to Simon before putting up this blog post, and he has assured me that many of the lessons learnt from the evening have been taken on board. For example, the problems with the electrics have been fixed (so there should be no more problems with the oven), additional heaters put in so the food doesn’t go as cold as quickly, better-drilled staff so that the service is now slicker. ferdiesfoodlab has delectable food on offer, and bearing in mind that the London Kitchen Project is a non-for profit and an evolving project focusing on sustainability and ecofriendly methods, I can see the value it brings to the local community. Note: ferdiesfoodlab is four years old and runs events out of three different venues. Check out his website. 1) The originality of the menu. 2) The morcilla was exquisite. 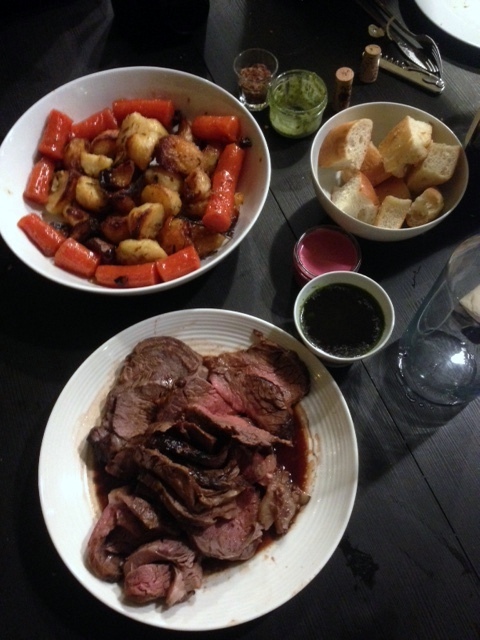 3) The cooking was excellent (although the beef dish could have been better). 2) The service could have been better. 3) Some of the dishes were a little cold. Price: £45 a head, excludes drinks and service.